aging human remains – All Things AAFS! 04/09/2013 by All Things AAFS! 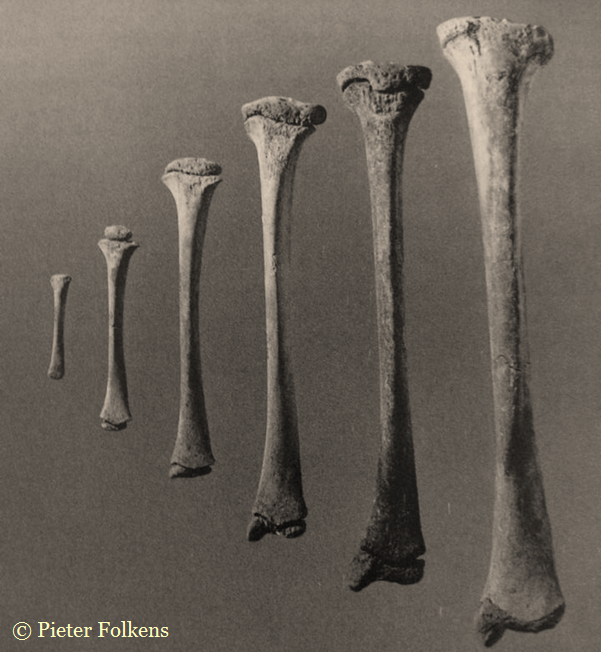 This Quick Tips post is the third in the series on age estimation of human skeletal remains, if you haven’t read the first post click here to start at the beginning. The first post provides an overview of the different techniques utilised by archaeologists/anthropologists, which will each be covered in more detail in their own blog post, and the categories that human skeletal remains are placed under according to their chronological age. 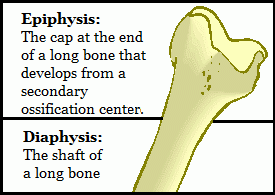 The second post examines the epiphyseal closure method, which you can find here. The practice of using dentition to chronologically age human skeletal remains is split into two halves, depending on the whether the skeleton is that of a subadult or adult. This blog post is going to discuss using dentition to age subadults. Stage 1 is where most of the deciduous teeth, commonly referred to as ‘milk teeth’, emerge during the second year of life. Stage 2, during this stage the two permanent incisors and the first permanent molar emerge, this stage typically occurs between the age of six and eight years. Stage 3, occurs between the age of ten and twelve and it involves the emergence of the permanent canines, premolars, and second molars. Stage 4, or the final stage involves the third molar emerging around the age of eighteen years. When looking at dentition you must look at all aspects of emergence and not just at the fully erupted tooth, which includes the completeness of all roots and crowns (formation) and the position of each tooth relative to the alveolar margin (eruption). 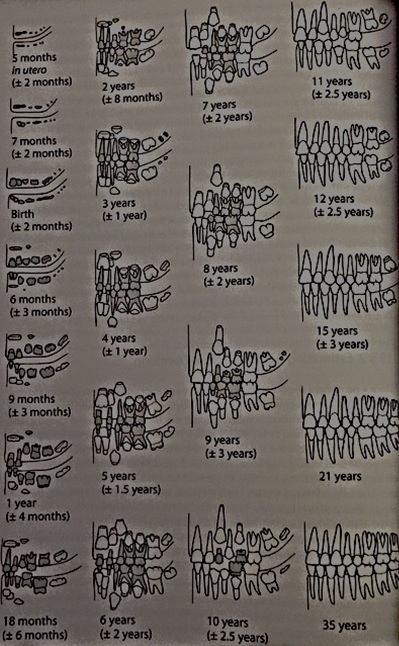 Ubelaker (1989) conducted a study on non-Native Americans and created a graphic summary of dental development and the correlating ages it occurs, see figure 1. 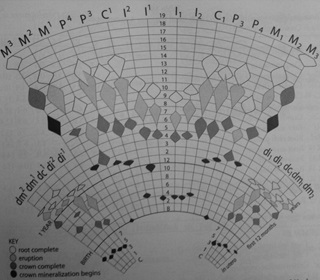 Figure 1: Ubelaker’s (1989) diagram showing the dental development in correlation to age. It must be noted that the ages these stages occur at differ per individual so only act as a reference. Gustafson and Koch (1974) created a graph to illustrate the variation that could occur with dental development, see figure 2. Figure 2: Gustafson and Koch’s (1974) image showing the variation in timing of dental development. Colour key: Black highlights the age that crown mineralization begins, Dark grey shows the age of crown completion, Light grey shows the age of eruption, and White displays age of root completion. Gustafson, G. Koch, G. 1974. 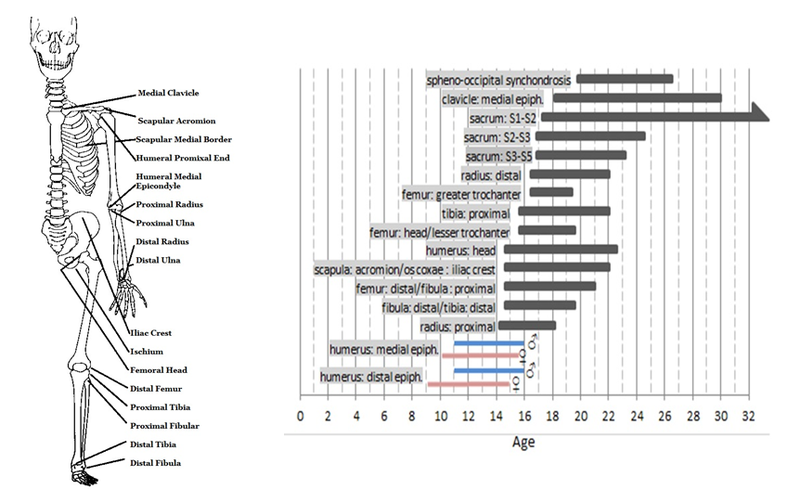 Age estimation up to 16 years of age based on dental development. Odontologisk Revy. 25. Pg 297-306. This is the third of a Quick Tips series on ageing skeletal remains, the next in this series will focus on the use of dentition to age adults and the use of cranial suture closure. To read more Quick Tips in the meantime, click here!